Today’s hearing on H4313, filed last Friday by Governor Charlie Baker, is an attempt by the Joint Committee on Public Service to help advance legislation that would resolve the issue of limited insurance choice and rising prices for the 10,000 teachers participating in the GIC’s Retired Municipal Teacher (RMT) Program. Current law requires the RMTs to be insured in a separate pool (Pool 2) from other GIC enrollees. Due to the limited size of Pool 2 and the changing healthcare marketplace, only a single health insurance company, UniCare, submitted a bid to offer coverage for FY19. Without merging the two pools, teachers in the RMT Program would be restricted to only UniCare insurance plans and could face higher insurance premiums starting July 1. The origins of the RMT Program date back to the early 1970s, when cities and towns lacked a means to withhold health insurance contributions from the pension checks of retired teachers. As members of the state-run Teachers Retirement System, retired teachers receive their monthly pension checks directly from the Commonwealth and not their local municipality or school district. While the RMT Program now contains retired teachers from 46 municipalities and school districts. Traditionally, RMTs have had access to the same health insurance plans and benefits as all other GIC enrollees. Mass Retirees Legislative Director Shawn Duhamel joined GIC Executive Director Dr. Roberta Herman in testifying in favor of H4313 and urged the legislature to act quickly on the proposal. With the GIC’s open enrollment set to begin the first week of April, there is a limited window of opportunity to pass the bill into law. Both the Mass Teachers Association and the Mass Municipal Association also spoke in favor of the bill. The MTA is a close Mass Retirees ally, working with our Association on a range of issues impacting healthcare and pension benefits. Members, who participate in the RMT program, should stay tuned for further information from Mass Retirees and the GIC. 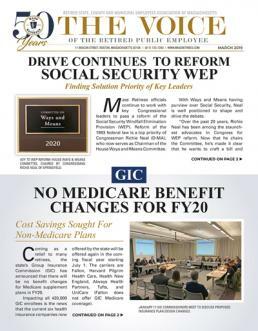 The GIC plans to mail FY19 Benefit Decision Guides to all enrollees by the end of March. 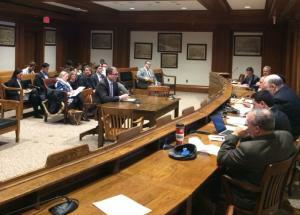 Click here for a report by the State House News Service on today's hearing.